I graduated from Wynne High School in 1987. I received my BSE in 1991 and MSE in 1993 from ASU, both in Early Childhood/ Elementary Education. 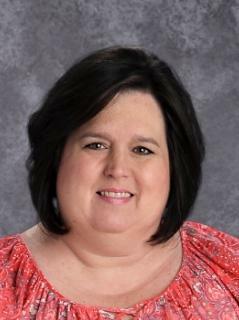 This is my 27th year at Nettleton and I am currently an Interventionist at UHE. I have been an Interventionist for 8 years and have been teaching at UHE for 11 years. Interventionist – 8 years and counting! My husband, Graham Starling, and I have been married 24 years. Our oldest son graduated from Nettleton in 2015 and is attending ASU. Our youngest son is in 8th grade at NJHS. We have 2 dogs, Berkley and Sophie, and 1 cat, Shadow.